We have had visitors in school, including a large Squirrel! 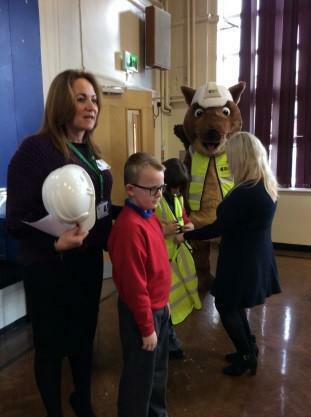 Representatives from a building company, building in the area, came into school to give the children a safety talk. 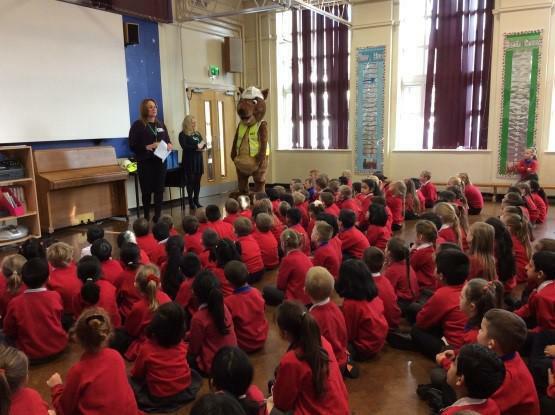 It was a strange start to a Monday morning but the safety message was very important and the children listened and responded well to the messages about how to keep safe in the local area.